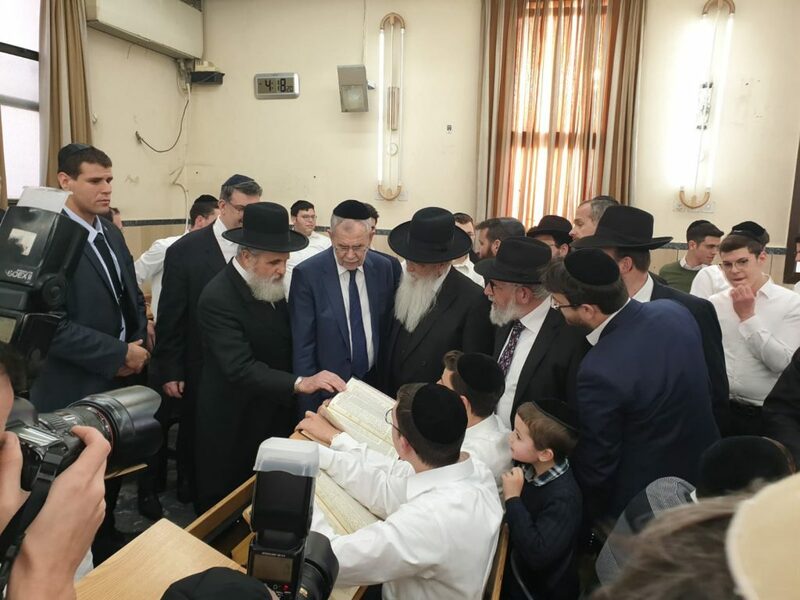 President President Alexander Van der Bellen at his visit in the beis medrash of Yeshivas Beis Shmuel, Monday. 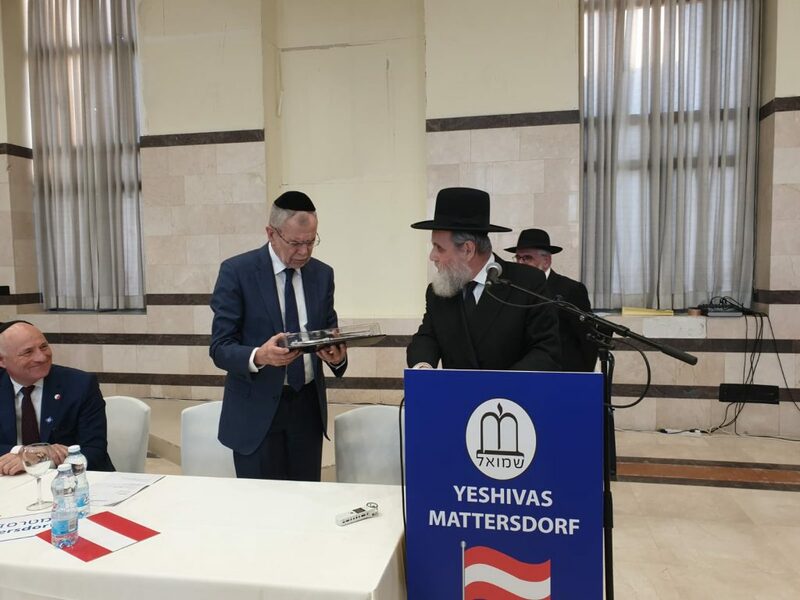 Austrian President Alexander Van der Bellen, who is on a state visit to Israel, on Monday visited Yeshivas Beis Shmuel in Kiryat Mattersdorf in Yerushalayim. President Alexander Van der Bellen admires the learning at the yeshivah. 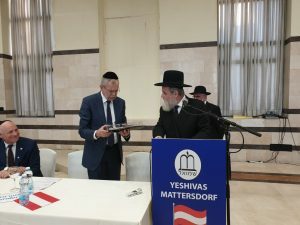 The president came to the yeshivah together with Austrian Ambassador Martino Weiss. 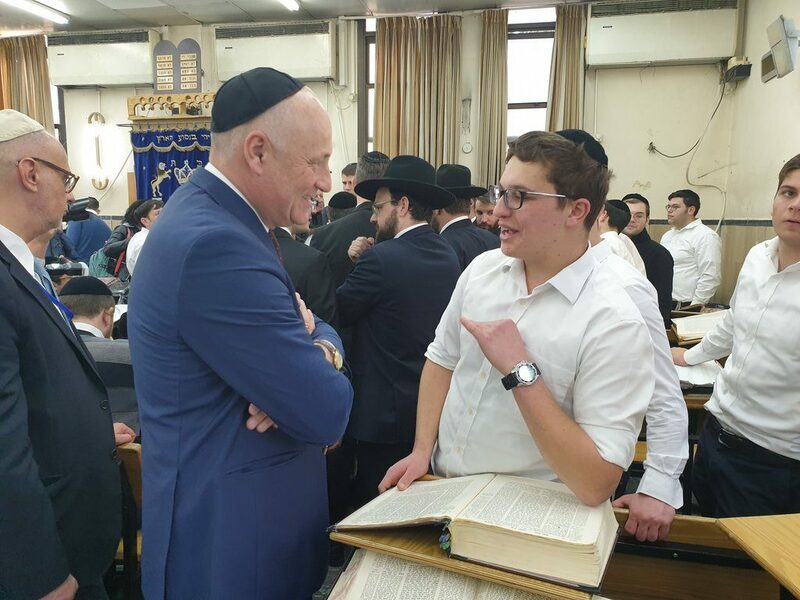 Harav Ehrenfeld bestowed the president a silver Yad. The yeshivah is headed by the Rav of Kiryat Mattersdorf, Harav Yitzchak Ehrenfeld, shlita. The name of the neighborhood comes from the centuries-old Austrian town of Mattersdorf, now known as Mattersburg. During der Bellen’s visit to the yeshivah, Harav Ehrenfeld bestowed the president a silver Yad, pointer, for a sefer Torah. 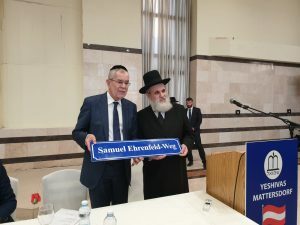 The president gave the Rosh Yeshivah a street sign with the name of his grandfather in Mattersdorf in Austria. 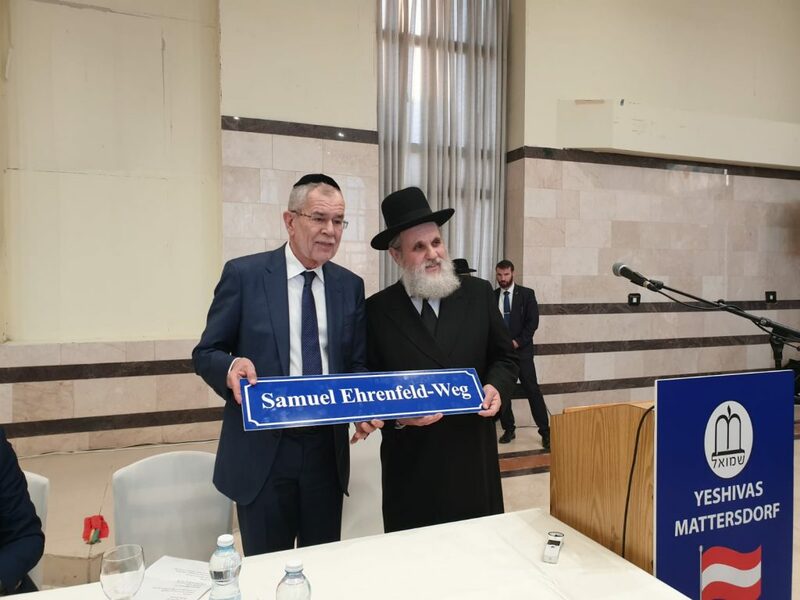 The president gave the Rosh Yeshivah a street sign from Austria.